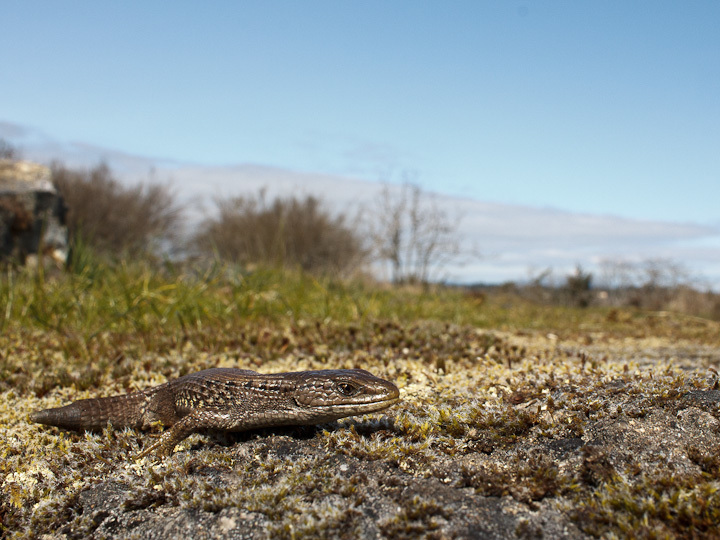 The Northern Alligator Lizard (Elgaria coerulea) is one of the coolest vertebrates found In southern Vancouver Island. they are native to the Puget Lowlands south to northern California, and Garry Oak Meadow habitat, such as that found at Mt. Tolmie Park is a good place to see them. I rarely encounter them out and about, but often see them under rocks in sunstruck areas. 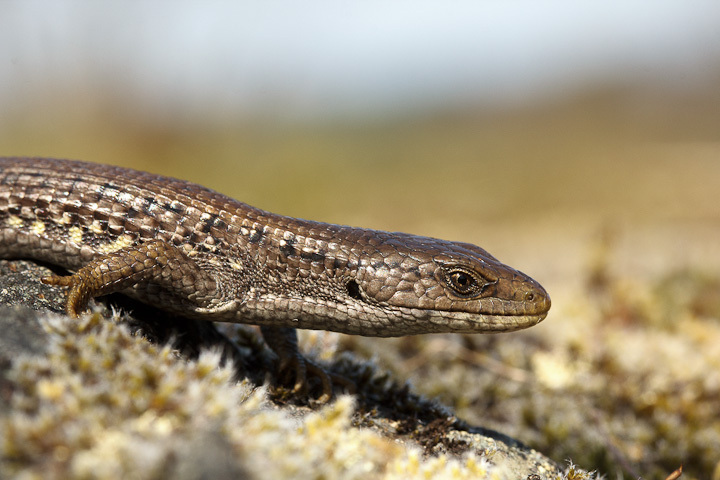 These lizards are members of the family Anguidae, so their relatives include such odd lizards as the Glass Lizards. 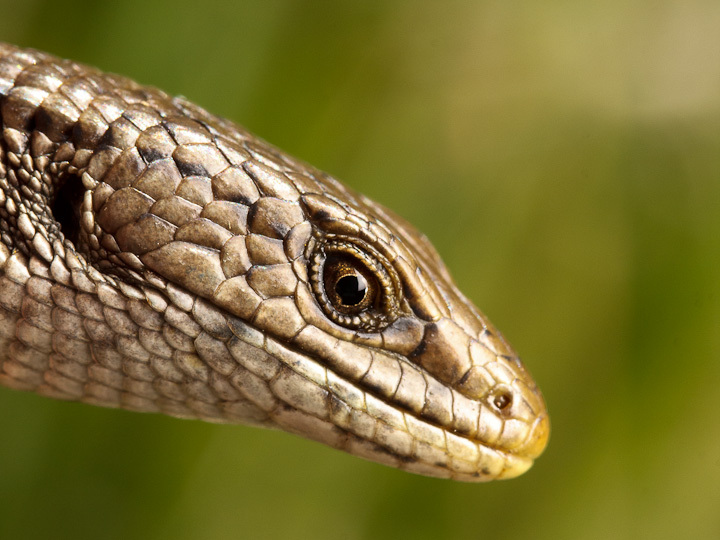 Alligator Lizards give birth to live young, and are quite easy to keep in captivity (as I found out when I was a kid). 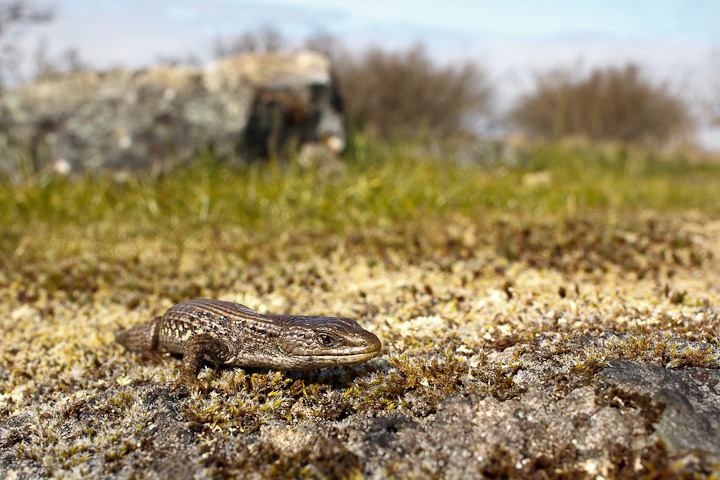 They make a great display animal for nature houses in parks, as folks are often amazed that we have a native lizard on Vancouver Island at all. Showing them one of these cool lizards might just help to inspire a conservation mindset in visitors to these threatened habitats. 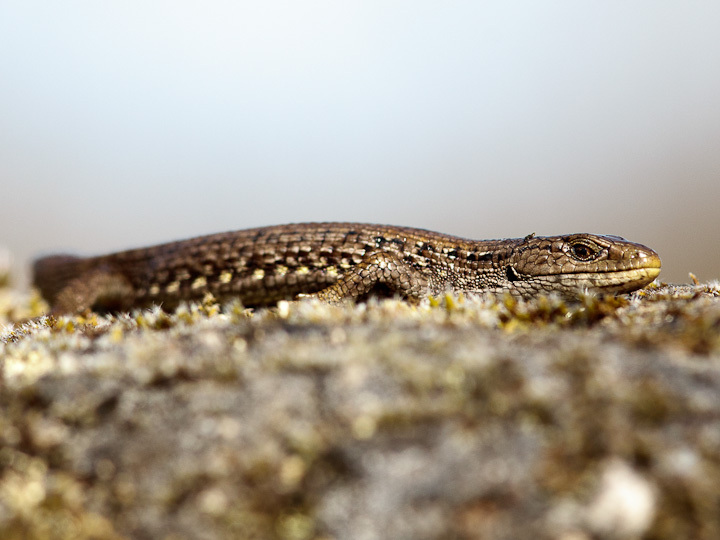 BTW, this lizard is probably the same individual I found last year, albeit with slightly less tail. You can see the autotomized tail in this shot. 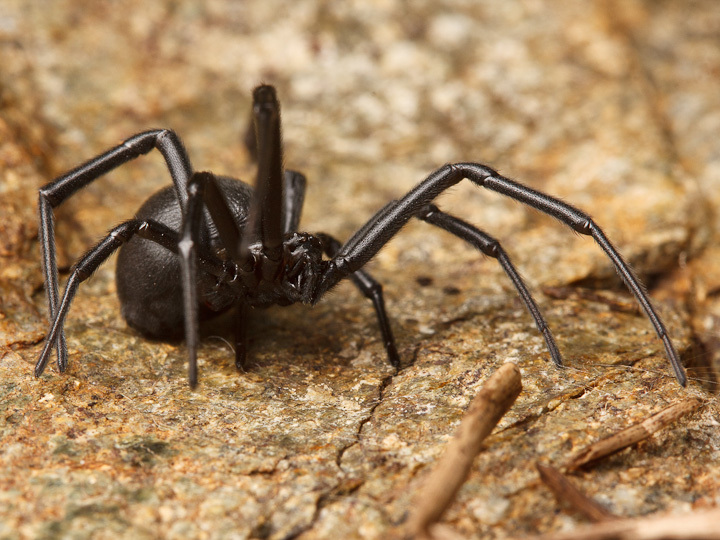 Other things you can find under rocks: my first black widow of the year! Thanks! I am trying to attempt some more wide shots showing the surroundings.